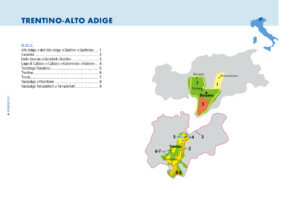 Trentino-Alto Adige is Italy’s northernmost region, bordering on Austria and Switzerland, and walled in by the Dolomites and the Rhaetian Alps. Because of its mountainous terrain, only 15% of the region’s land is arable, compelling growers to emphasize quality over quantity.  The region accounts for 2% of Italy’s wine production (10th in volume among the regions). The output is comprised of 85% DOC wines. The region contains two distinct provinces: Trentino, in the south, whose population is culturally and linguistically Italian, and Alto Adige, in the north, also known as Südtirol and home to a prominent German-speaking population. Each of these provinces contains a large DOC zone. Though the Alpine climate favors grapes for aromatic white wines, historical emphasis has been on reds, which still account for over half of the production in the region. The dominant vine variety of Alto Adige is Schiava or Vernatsch, a source of light, bright reds that flow north prodigiously to German-speaking countries. The most highly regarded of these is labelled as St. Magdalener. Trentino, which boasts Italy’s largest production of Chardonnay, is a leader in sparkling wines made in the classic method, meaning that the secondary fermentation (which produces the bubbles) is done in bottle as opposed to a tank, many of which are bottled under the prestigious Trento DOC. That appellation also applies to a Rosé or Rosato version which can be based on or at least include Pinot Nero. Red wines have also taken on greater dimensions, notably made from Lagrein, Teroldego and blends of Cabernet and Merlot, but also with Pinot Nero. Teroldego was, in fact, once widely planted to serve the high demand coming from the Habsburg Empire elites. The region has also experienced a growing demand for international premium varieties, including Sylvaner, Veltliner, Gewürztraminer, Müller Thurgau and Kerner, all varietals originating on the Teutonic side of the mountains that have found some of their greatest expressions in this unique mountain climate.